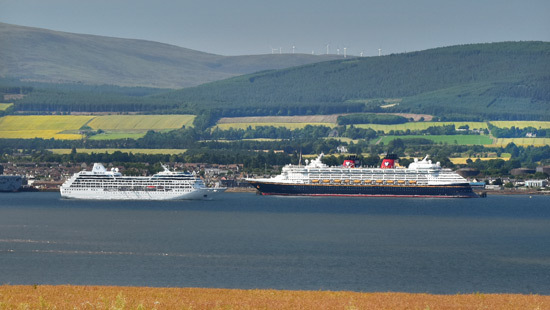 If you are visiting Invergordon as part of a cruise itinerary, and looking for a fly fishing shore excursion while docked, we can collect you from your cruise ship, take you fishing for the day, and return you back to your ship in plenty of time for your evening sailing. 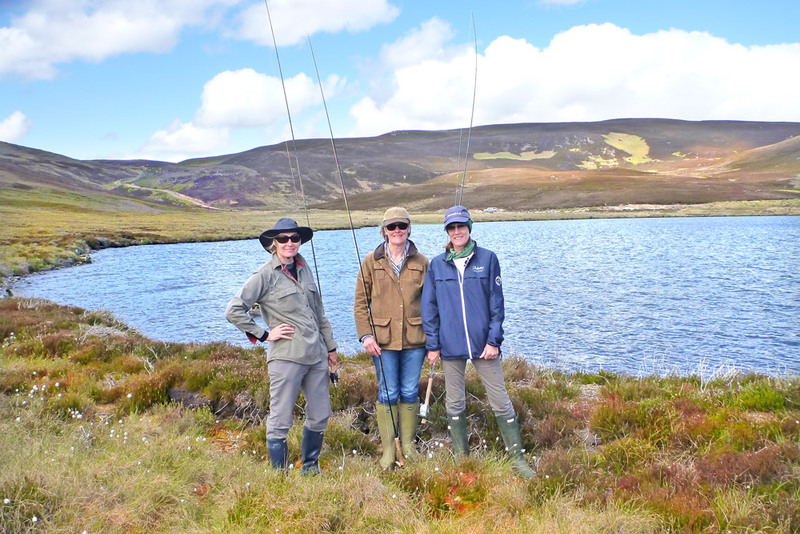 Our excursions have been tailored to fit with the short time that you have in the Highlands, and we offer a variety of fly fishing experiences suitable for novices to the most experienced fly fishers. 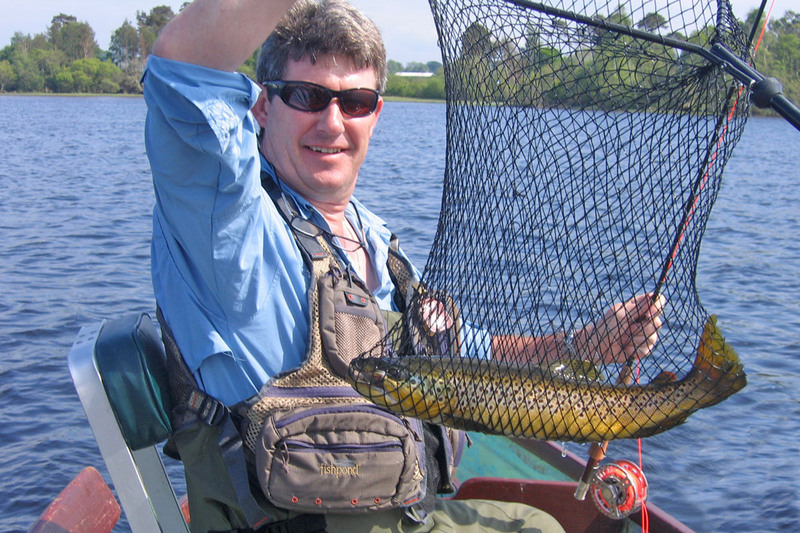 For trout fishers we have river fishing on the River Alness, and loch fishing on lochs Eye and Migdale. Our salmon fishing generally takes place on the River Alness, but we are often able to fish other rivers in spring and early summer. All of our fishing spots are within 45 minutes' drive of Invergordon to maximise your fishing time, but if there is a particular loch or river that you would like to fish, please enquire. The packages below are generally aimed at groups of 2-4 anglers, but we can also cater for single anglers and larger groups - please enquire. 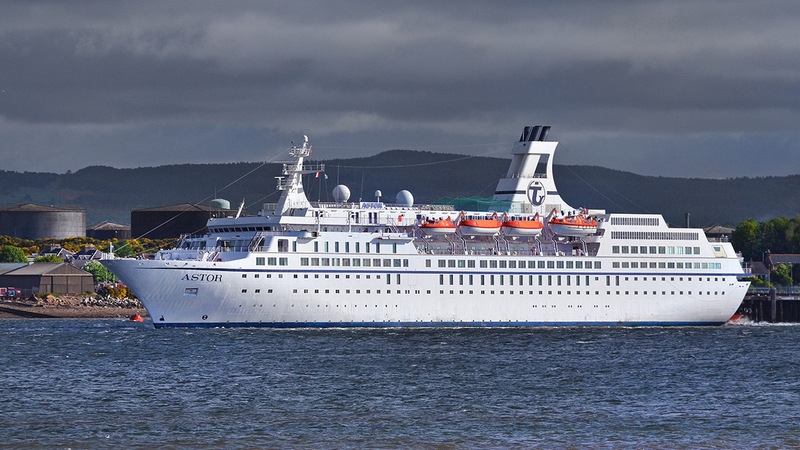 All of our excursions are subject to availability, and advance booking is essential. For further information or to book your excursion, please send us an enquiry. 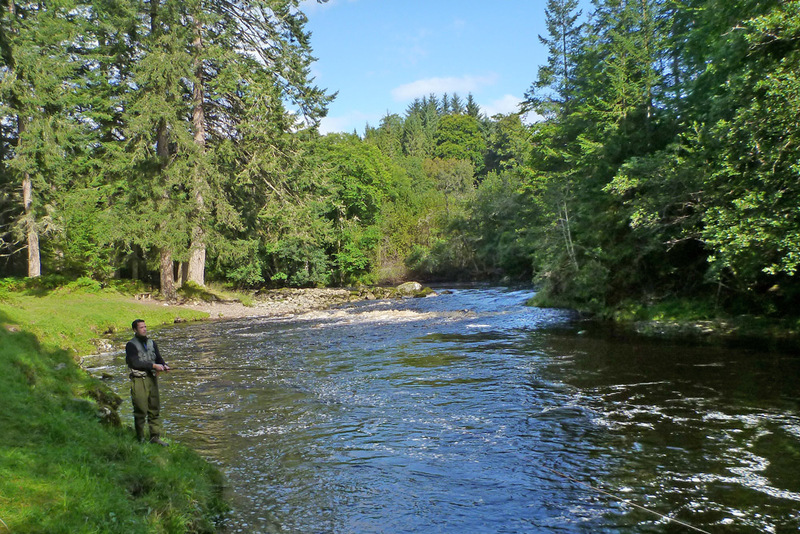 An exclusive excursion to fly fish for salmon on the River Alness, a spectacular Highland river set in tranquil scenery. 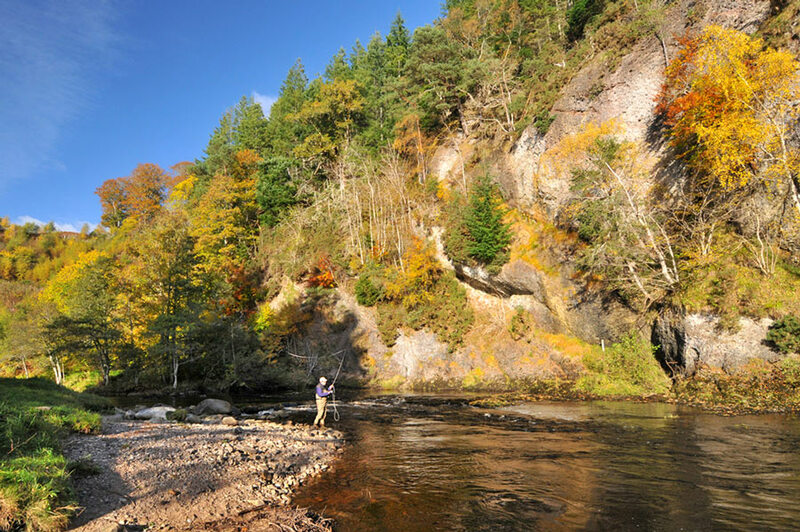 Whether you have fly fished before or are a complete novice you will enjoy an iconic Scottish sporting experience with the chance to catch an Atlantic salmon, the pinnacle of game fishing. This excursion is designed for 2 anglers/guide, and is limited to a maximum of 4, but single anglers are also welcome. A half day excursion to fly fish for Atlantic salmon on the River Alness, leaving you some free time to explore Invergordon. The proximity of the river, its unique character, combined with our 'fast track' instruction service, means that we will have you fly fishing effectively for salmon within an hour of your pick-up! 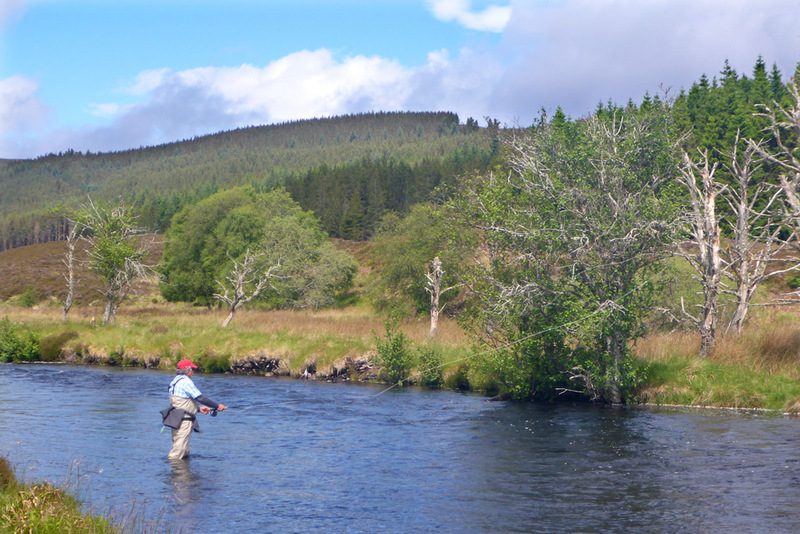 An exclusive full day excursion to fly fish for wild brown trout on a local loch or river. Depending on your experience and preferences we will suggest an itinerary that will provide you with a both a unique fly fishing experience and a true taste of the Highlands. This excursion is designed for 2 anglers per guide & boat, and is limited to a maximum of 4, but single anglers are also welcome. For groups of 3 or 4 anglers, the 3rd angler attracts a single angler supplement. 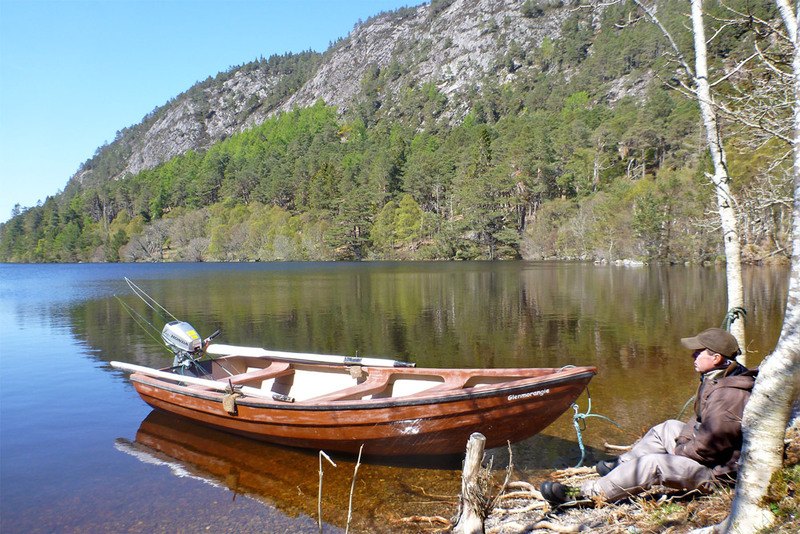 Exclusive half day excursion to fly fish for wild brown trout on a Highland loch or river. We can be at the river or loch within 25 mins of picking you up, so if you want to combine a trout fishing experience with some free time, this is the trip for you. This excursion/rate is designed for 2-4 anglers, but single anglers are also welcome. A half day 'Introduction to Fly Fishing for Trout' for novices, at a nearby trout fishery. If you've never tried fly fishing, and would enjoy a formal introduction to the sport at a leisurely pace, allowing some free time in port afterwards, then why not try this experience, subject to availability. This excursion/rate is designed for 2-4 anglers, but single anglers are also welcome. Guiding for 1 to 3 anglers will be provided by a full-time fly fishing instructor/guide. For packages of 4 anglers we provide an additional fishing guide. 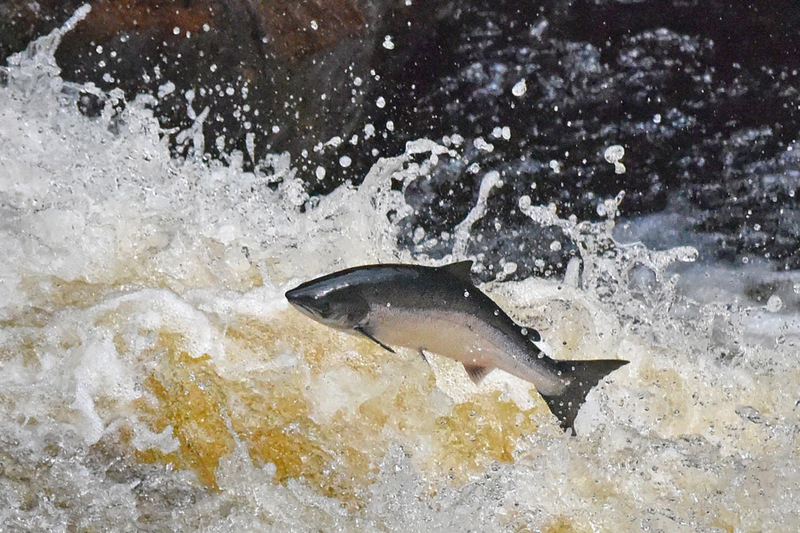 A unique and exclusive full day trip combining an introduction to salmon fishing on the picturesque River Alness, with a local tour through stunning Highland scenery (including a visit to Shin Falls), relating the natural history of the Atlantic salmon, and its cultural and historical importance to the Highlands. 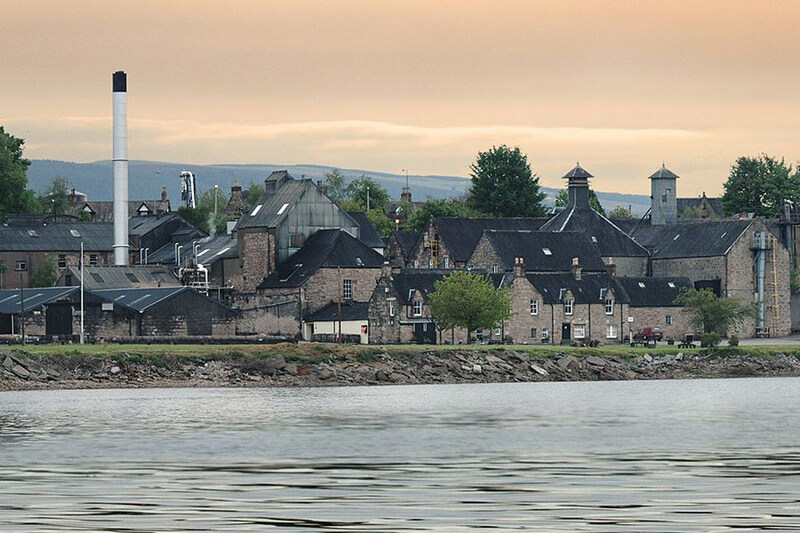 If your party makes up the full group fishing with us, and you would like to incorporate another Highland experience into your day such as a distillery visit, we would be very pleased to schedule this around the fishing. Unless otherwise stated, for all salmon fishing excursions and trout fishing by boat, guiding for 1 to 2 anglers will be provided by a full-time fly fishing instructor/guide. For packages for 3 to 4 anglers we will provide an additional fishing guide to ensure sufficient personal attention. For most of our trips, single anglers are welcome and can book an exclusive fly fishing/guide hire package at a supplemental rate. They can also be accompanied by one non-fishing guest at no additional charge. 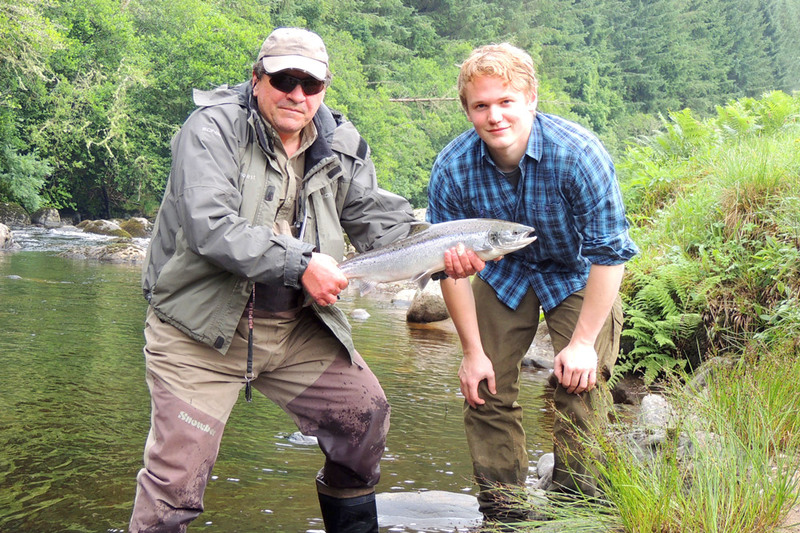 Is it really possible to catch your first Atlantic salmon with just a few hours in port..?